So...are ya tired of soup recipes yet? Well, buckle up cowboys and cowgirls cause it is soup season for me! Wait, I think I meant to SADDLE up. Yea, saddle up. I could live on soup, so I like to make alot of different kinds! In all seriousness though, if you are going to eat a cream soup, this is a darn good one that is a bit more figure friendly than probably most versions. This is also a soup that freezes fabulously. I mean, if you can cook it once and serve it more than once, it can't be a bad thing, right? In a large pot melt butter and add in flour. Whisk constantly for 1-2 minutes. Add in chicken stock starting with half of it, whisking and then the other half. Simmer for 2 minutes, add in broccoli and half and half. Stir often and let simmer 15-30 minutes. If you want it thicker simmer with the lid off and if you want it the consistency it is, simmer with the lid on. Just before serving, turn off your stove and add in grated parm, stir and serve! 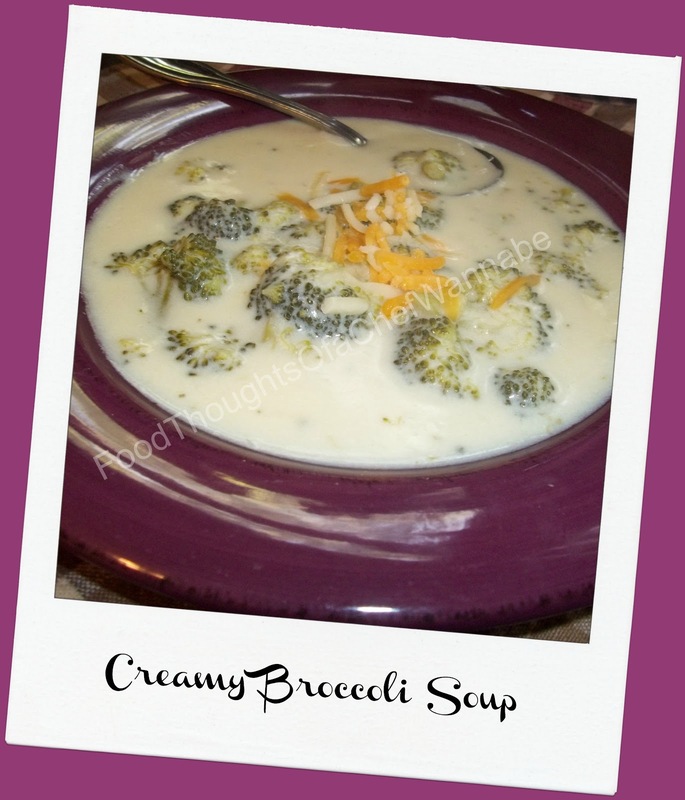 Enjoy this lightened up version of a cream soup. Now, you get to eat MORE of it! YUMMM!! 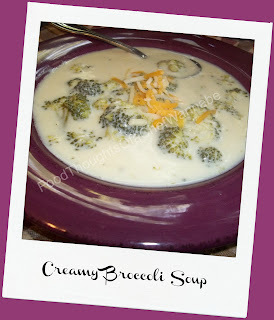 I Love soup too, and I am enjoying the recipes! I am a little nuts about soup! I can't help it, there are so many delicious ones to make and recreate! I am so glad you are enjoying your time here, I appreciate hearing it! One of my fav's too!! I don't like it all blended, I like some chunks of broccoli! I like being able to make it how I like it!